Purchase your Early Bird ticket to Electronic Family 2019 on 20th July 2019! 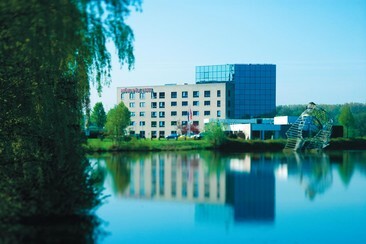 This modern 3* hotel is superbly located, just a 4-minute drive from the A2/E25 motorway and a 30-minute drive from Eindhoven Airport. Offering excellent value with its 47 sound-proof rooms that provide cable TV, a desk, coffee & tea making facilities. Wi-Fi and parking are also complimentary. Just 2.8 miles from the city centre of 's-Hertogenbosch, it is the perfect spot for those keen to sample the local shops and sights and explore cultural spots such as St John's Cathedral, the North Brabant Museum, and the famous Korte Putstraat, with its many pavement cafes and restaurants. Guests can also enjoy international dishes and Dutch specialties in the hotel's own restaurant and grab a drink in the bar. Van Den Bosch offers rooms with a flat-screen TV, free film channels and Senseo coffee machine, only a 10-minute walk from ‘s-Hertogenbosch Railway Station. It features free wired internet. All rooms feature a modern bathroom. In the shared open kitchen, guests can relax, work and enjoy free coffee, tea and snacks. The Brabanthallen and the main market are both less than a 10-minute walk from the hotel. The Efteling theme park is just over a 20-minute car journey from Van Den Bosch. This hotel is perfect to discover the city. Off-site parking is also available for a fee. 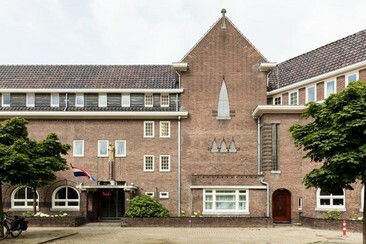 Situated in a renovated monastery, Hotel de Soete Moeder is set in the city centre of Den Bosch. 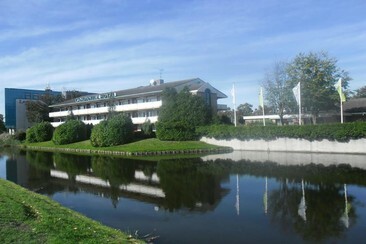 Brabanthallen Exhibition Centre is 1,4 kilometres from the property. Prins Hendrik park and the IJzeren Vrouw lake are a 1-minute walk from de Soete Moeder. The localisation is ideal to discover the area. Guests can enjoy the on-site bar, monastery garden and a terrace. Each room comes with a flat-screen TV with cable channels and a private bathroom. For your comfort, you will find free toiletries and a hairdryer. This property provides free WiFi and paid private parking. You will find a shared lounge at the property. 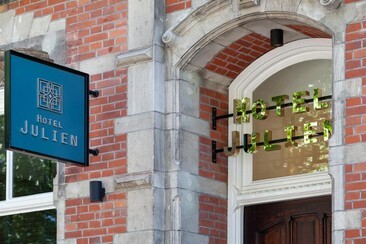 Hotel Julien is located in Den Bosch. The city centre is situated at a distance of 550 m from the boutique style hotel. Train station Den Bosch is located at a distance of 140 m. Brabanthallen Exhibition Centre is a 13-minute walk from the accommodation. 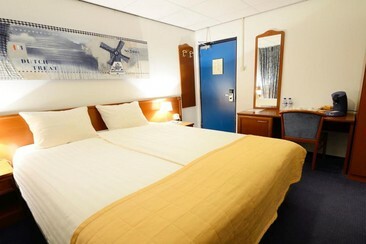 The nearest airport is Eindhoven Airport, 27 km from the property. All rooms in Hotel Julien have private bathrooms. The rooms are provided with luxury beds, flat screen TV with Netflix, minibar, facilities for making tea and coffee and a safe large enough for your laptop and other valuables. Every room is decorated differently: you can sleep under characteristic beams or enjoy the view from a nice bay window with window seat. This 4-star hotel has a water-view terrace, a free sauna and infra-red cabin. There are 92 casual guest rooms with low-key decor, flat-screen TVs and free Wi-Fi, along with mini-fridges, tea and coffeemakers. Room service is also available. Amenities include an informal, colourful restaurant with a waterside terrace and a contemporary bar. Guests have access to the hotel sauna and parking is available at €7.50 per day. A luggage storage is available as well as a 24 hour reception. Buses leave to the city centre 6 times an hour and direct links to the city centre in 5 minutes. 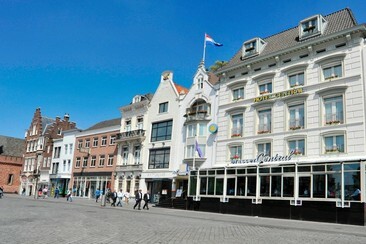 The 4-star Golden Tulip Hotel Central is located in the heart of 's-Hertogenbosch & features 2 restaurants and 2 bars, and a fitness centre which offers a unique view of St. John's Cathedral from the top floor. The property has 125 guest rooms feature air-conditioning, tea/coffee making facilities, a minibar and a flat-screen TV with free Wi-Fi access. The hotel is easy to reach by car and public transport and there is a paid covered parking facility at a location nearby. The central station is only a 7-minute walk away and a bus stop is 50 yards from the hotel. 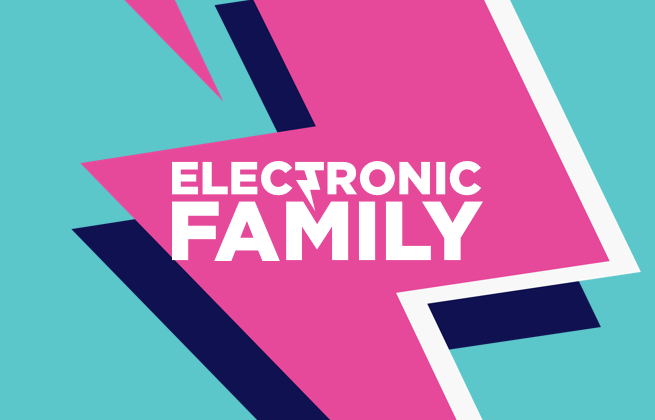 Electronic Family is a trance festival in Den Bosch, The Netherlands. One of the genre's premier European homes, the festival annually curates a lineup featuring everything from up-and-comers to big names. As trance is such a tight-knit community, Electronic Family works hard to ensure an inclusive atmosphere for all attendees. The biggest outdoor trance festival on the continent, this year the festival features the European debut of Ferry Corsten's new System F project.